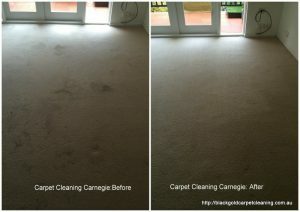 Black Gold Carpet Cleaning Carnegie, is your local carpet steam cleaning specialist. Being fully IICRC qualified we offer great service and results every time. Because we are local and we don’t use sub contractors, we can offer really affordable rates to all Carnegie carpet cleaning customers. We are happy to arrange a time to suit you. Our kids attend a local school and belong to local sporting clubs. 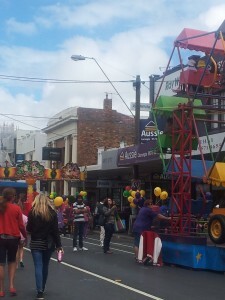 We live in Carnegie, shop in Koornang Road and we support local charities. Black Gold Carpet Cleaning Carnegie is a professional carpet cleaning service. Our preferred method of cleaning for most situations, is hot water extraction (carpet steam cleaning). You can call for a quote over the phone or we can come to you. All of our quotes include pre inspection, pre spray, spot treatment, steam cleaning, deodourising and GST. Stain treatment and fabric protection are additional charges and will be quoted on site. Aside from carpet steam or dry cleaning, our other services include rug cleaning, mattress cleaning, upholstery cleaning, leather lounge cleaning, spot and stain removal. You can also ask us about our water damage restoration and tile and grout cleaning services. Caulfield Bears Football Club, Glen Eira Junior Soccer Club, Carnegie Netball Club, Carnegie Primary School, Carnegie Pool, Carnegie Library, Packer Park, Koornang Park and Koornang Rd shops: especially the coffee, the bagels, the dumplings and the cakes! Did you know that Carnegie was originally called Rosstown, after prominent local property developer, William Murray Ross? Ross’ investments in building a sugar beet processing mill and a railway line to service it, failed, so the area was renamed in 1909 in honour of American philanthropist, Andrew Carnegie. It was hoped that this name change might attract his attention and help secure funds for a library. Sadly this attempt failed. Leila Road is named after William Ross’ wife and Grange Road is named after his Estate “The Grange”.